As a recognized leader in the helicopter utility world, Wake Aviation and its affiliates have become the number one innovator and designer of a variety of specialized methods and procedures involving helicopter assisted powerline operations. With Safety being the single most important consideration in successful utility operations and procedures, Wake Aviation has taken a lead role in developing and implementing a Safety Program specifically designed for the utility helicopter operator. Wake Aviation staff have studied and reviewed numerous safety programs as well as guidelines from the FAA and HAI (Helicopter Association International) to design and tailor a program that fit the needs of the company and that would actually work in a real world environment. The resultant Safety Program developed by Wake Aviation has proven itself to be an invaluable and accepted tool for the company and industry as a whole. Protecting our staff is our top priority at Wake Aviation and we have built an entire culture around that philosophy. Our goal is to send our staff home to their families safely. We have found that good safety is also good business when safety equals reputation; it has considerable economic implications for all parties involved in the demanding environment of aerial transmission line operations. An injury or fatality resonates quickly through the industry and a poor safety record has a significant and lasting impact on the reputation of a company. Poor safety performance also excludes a company from being an acceptable provider of service to our clients when time and outcomes equal money. Direct cost implications of poor safety performance are measurable and include production loss, high workers compensation insurance rates, fines, and lawsuits. Safety performance is also a major factor in contract award evaluation. Wake Aviation has never and will never on any occasion sacrifice safety for profit or schedule performance. During multi-aircraft operations and thousands of hours of utility and other industry flying, Wake Aviation and its affiliates and partners have enjoyed an accident free safety record while operating in the most hazardous flight environments in the world. In instituting our Safety Program at Wake Aviation, it has ensured that safety objectives and protocols are not only met but also exceeded. Policies and procedures as well as other safety protocols are designed into the Program to reduce human error while encouraging all personnel within the organization to promote safety and quality outcomes alike. Years of experience and top-tier expertise make our team unmatched in the industry. 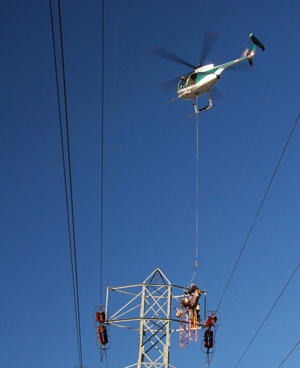 The most qualified company in the world for aerial power line operations. Industry leading training for Pilots, Linemen and Mechanics in the wire environment. A Safety Program that is second to none.